These inks come in a 50ML octagonal glass bottle, packaged with care in classic Montegrappa blue. 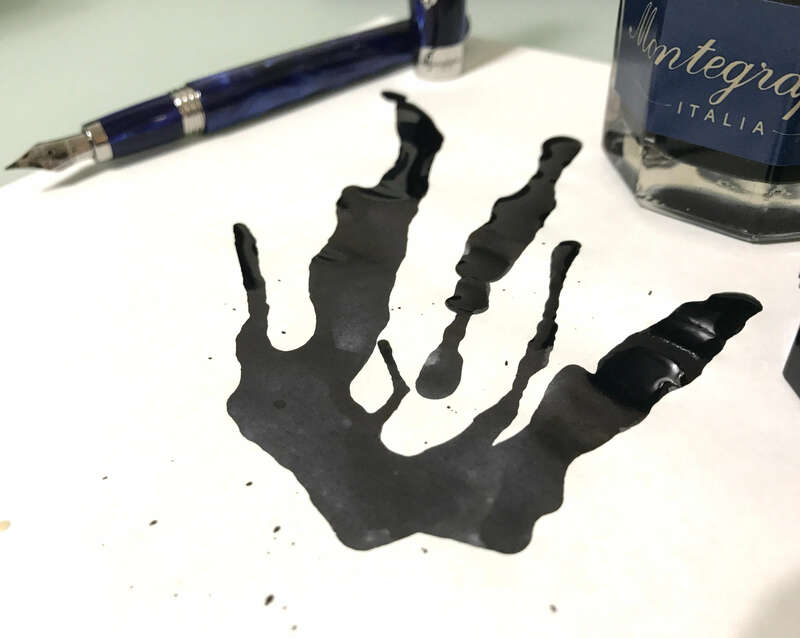 Montegrappa’s new take on Black ink has a wonderful range of color, spanning from hints of grey to deep black. The ink has an excellent flow, yet is not overly wet, and dries to reveal lovely shading. Despite this, it is heavily saturated, making it perfect for personal or professional writing. Montegrappa Coffee Brown is a deep brown with hues ranging from a milky chocolate to the tone one would find in black coffee. The flow is wet and dries to a subtle shading. It is a heavily saturated ink that is suitable for many occasions. Montegrappa Dark Blue is reminiscent of the night sky, with tones of navy that range to a near black. This ink has a lovely consistent shading and even flow. The saturation makes it suitable for personal or professional writing. Montegrappa Fuchsia is a playful mix of pink and purple tones. It is has a high flow and robust color that does not allow for much shading. However, this leaves the writer free to enjoy the bright, festive color of the ink. It would be a delight for correspondence writing. Montegrappa Green is a peppermint green that has a fresh, crisp shading from dark to light. This ink has the added bonus of sheen which adds a deep red shimmer where the ink is most saturated, giving the color added dimension. Montegrappa Red is a bright crimson that ranges from deep to light tones. This ink has a moderate flow, with sporadic shading. This color can add drama to any paper it is applied to. Montegrappa Turquoise is a vivid ink that has the tones of the Aegean Sea. From tranquil waters to a vast ocean blue, this ink flows nicely and has a delightfully wet flow. This is a saturated ink that is both a pleasure to write with and read. Montegrappa Violet is a bright purple that shades from hyacinth to an almost eggplant purple. This ink has radiant highlights and an average flow. These attributes make it perfectly suited to correspondence writing and art.